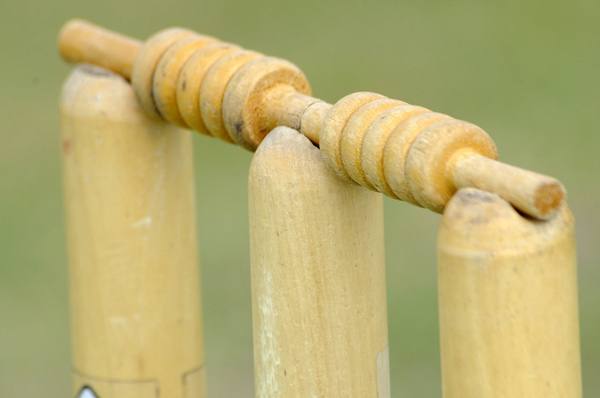 With three games left before finals, Monbulk Cricket Club was looking to have a big first day against Olinda to hold onto second spot on the ladder. Electing to bat first, Chris Martin made the early breakthroughs, snagging the first two wickets with patient bowling. Olinda was set on a big score when 2/75 after only 27 overs and their best bats settled at the crease. But in a big session before tea, Craig Broekhof bowled Tim Scott around his legs and Tom Gelbert was run out. At 4/140 at tea, Monbulk found some tight lines and restricted Olinda to 221 from their innings. The twos had a successful day in the field, bowling Olinda out early and knocking off some runs before the close of play. The two young guns Josh Spencer and Joel Wensley bowled brilliant opening spells, having Olinda 4/37 at drinks. Joel finished with 1/13 off eight and Josh 3/21 off 10.1. Rab Noonan bowled eight overs for 2/26 and junior Jett Bolton took 2/4 to help wrap things up. Olinda made 174 and the Hawks had 23 overs to bat before the close of play. With Aaron Gillard making 17* and Brian Martin out for 21, the Hawks finished on 2/50. The fours are well in the game against St Johns/Tecoma in what looks to be a run fest. St Johns/Tecoma finished on 2/140 off its 35 overs, while the Hawks are sitting on 4/145. In the runs were Brayden Caldwell (24), Ben Horlock (36) and Oldham (43*). The under-16s and 14s played T20s on Wednesday night. The under-16s played St. Johns/Tecoma and made 6/86 with Ollie Grujic making 27 and Will Copelin 24. St Johns/Tecoma was able to win in the 18th over, with Jayden Spencer taking 1/8 and Isaac Hylton-Stewart 1/5. The under-14s played Upper Ferntree Gully and lost a close one. Bowling first, Upper Gully made 3/99 with Ethan Blenkiron, Matt Abrahams and Sam Blenkiron all taking a wicket. With the bat, Olinda/Monbulk fell just short, making 7/97 with Bon Sullivan (24), Ethan Blenkiron (17) and Matt Abrahams (20) striking well.